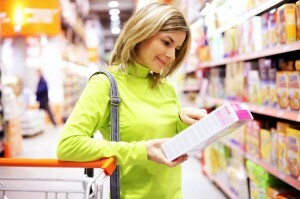 How to Read a Food Label to Lose Lbs. A lot of people say that they look at the food labels and ingredient lists before buying something ut in reality, the vast majority of time-strapped shoppers are more concerned about getting in and out of the store than getting into the nutrition mumbo-jumbo on food labels. Reading a user’s manual or ingredient list on a shampoo bottle is about as interesting as the copy on our cereal box, bag of chips or carton of eggs. But like my client Kim, she just didn’t have the time or energy to know what to look for on food labels or how it really applied to her diet. Her mission is how she can get in and out of the supermarket in time to get home to actually make dinner for her family. Reading food labels isn’t something she has a lot of time or patience for. The key to using the food label to your advantage is to know what to pay attention to and what you can ignore. In fact, research shows that individuals who use food labels regularly when shopping have healthier diets and are less likely to be overweight. To provide you a cheat sheet for the food label, here’s what dietitians recommend to cut to the chance of choosing a food that’s diet-friendly. If you want to know how to read a food label to help you lose weight, the place to start is by what you should try to ignore. 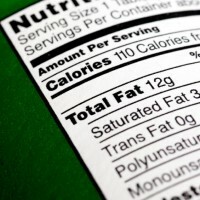 Bold Health/Nutrition Claims: What you want to avoid when shopping is all of the supermarket shelf tags, front-of-pack nutrition statements like “all-natural,” “low-fat,” “sugar-free, “reduced in sodium,” because these are intended to get consumers to eat more of specific foods not eat less. They are pure marketing driven and are not intended to help you improve your diet and lose weight. Even the “organic” or “gluten free” claims aren’t cues that the product is good for you. Third-Party Healthy Icons: Icons from numerous associations like American Heart Association, Whole Grains Council, manufacturers’ icons on the front of packages. l Again, these are designed to get you to buy and eat more of specific foods rather than getting across an eat less message. Supermarket-based Healthy Choices Programs: Several supermarkets use programs like NuVal, Guiding Stars and others to help you more easily determine how healthy foods are based on a standard set of criteria. While each system has its inherent flaws, they are generally good ways to help you choose better options within a food category. Below are the top five facts you need to look for on food labels. When rushed, stick with just 1 and 2. That will be a good way to start to help you keep calories in check and help you get a handle on portion sizes. 1 and 2. Serving Size & Servings Per Package: Without looking at what a “serving” is supposed to be in the package, everything else on the label is irrelevant. This is the one thing that most consumers completely overlook until they realize that they just ate two, 450-calorie servings of pizza. Oops. Many packages appear like they would serve one, may have two or more portions. (This is one of the pet peeves of the FDA and IOM have about current packages that they want to change.) Having “servings per package” and “calories per package” boldly present on the front panel would help solve this issue. 3.Calories: That’s obvious. Many of us are overweight and virtually everyone has to be aware of calories, so be sure to look at it before buying. As a general rule, consider that meals should be 450-650 calories and snacks less than 200 calories. 4. Saturated Fat: Try to choose foods that provide low numbers for saturated fat. Most women need no more than 15-17 grams sat fat per day. Full-fat cheese is the number one source in the US diet, followed by pizza so keep that in mind. 5.Sodium: You’ll quickly find out that the less processed a food, the lower the sodium will be. Watching sodium will automatically improve your diet as you’ll be eating more foods that are less processed or naturally fresh and sodium-free.